The T: Redline to "Harvard Sq." Food was terrible. Absolutely no tasted! There were 6 of us and we all left r meal half eaten. Nobody care to ask. It meant a lot that they could accommodate the change in time when my dad didn't get the time he wanted when he ran the Boston Marathon. It's our tradition to celebrate post race and we look forward to next year! Service a little slow but all special requests handled perfectly. Excellent wine recommendation. wife went wit veg risotto I with the mushroom risotto. Vegie risotto was firm (perfect) and liked the saffron flavor. The fungi risotto was a tad too moist due to the exuberance of tomato base (too much IMHO) and mushroom flavor was fine but again to my tastes the dish was a little too mushie. Great staff. Cassie is the best ! Really terrible, judgmental, and rude waiter. Food was very good and I was there for a special occasion so it was all nice but he ruined it. Generally a good place to go in Harvard Square. Noise level is tolerable-- you can have a conversation which is the usually my main object for going out with colleagues. Service is unobtrusive and responsive. Portions are large. Generally the food is good and the prices not sky high. Last meal I had included a blah mixed greens salad without much taste-- i also had eggplant parmigiana listed as an appetizer, as my main course. Excellent and substantial. We went to the restaurant to have a good meal and good conversation for a special event. 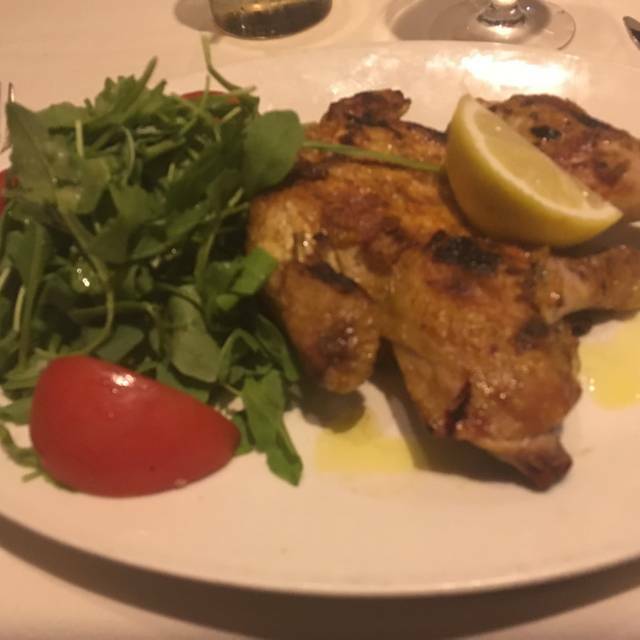 We were seated in a lively part of the restaurant but when we explained why we wanted a quieter place, the staff responded cheerfully and quickly in spite of it being a busy evening there. 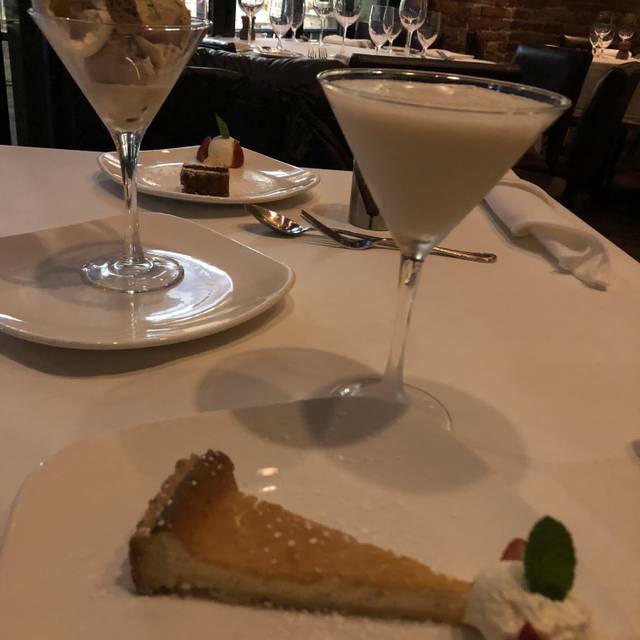 Service was attentive, thorough, and flexible (we wanted to share plates and had a somewhat unusual sequence of dishes which was observed) This was a delcious, "classy" meal and we were all pleased. The calamari was very over cooked, 2/5 people at our table did not like their pasta dishes and did not finish them. We were very disappointed. The two diners who ordered the risotto enjoyed their meals. . Very disappointing for an expensive lunch which was meant as a celebration. Our waitress was attentive, made perfect recommendations, and was very friendly! Our server Rosa is one of our favorites and always makes it a greet experience. Double thick chop cooked perfectly & finished with best espresso and first time grappa. Now my favorite desert. We sat at a semi circle table with flat side against glass from floor to ceiling with a circular grand view of Harvard square. We were greeted by a phenomenal server Nathan. Four of us had or shared Burrata with speck as a special app, terrific, followed by delicious Caesar salads, pasta fagiloi that was different & fabulous (white bean puréed). Service was warm and friendly. The margherita pizza was a bit bland, but dessert was great. The table for two was a bit too large to be intimate. Great food, great attentive service. The chef's seafood tasting menu was out of this world. Pricing is actually a bargain considering the level of quality and attention you are getting. This is a fine restaurant. Although it may feature Italian dishes, it offers a very broad and varied menu, excellent preparation and attentive service. 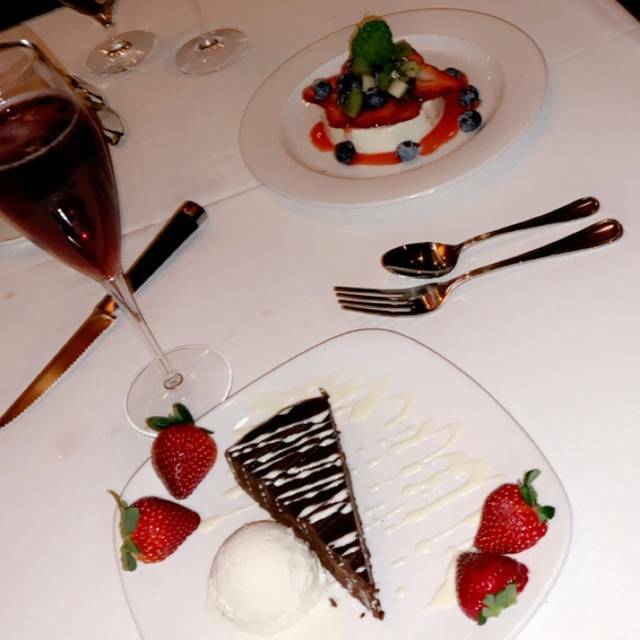 Plan on a long visit, since service tends to be slow, which is partly due to the number of diners during prime hours; however, there is no pressure to vacate a table and leisurely dining is the norm. Make sure to make reservations well in advance, since it is a popular dining spot. By far the best restaurant in Cambridge, although it would be considered excellent anywhere. Very diverse menu that is well delivered except for the veal dish that was not worth the it. 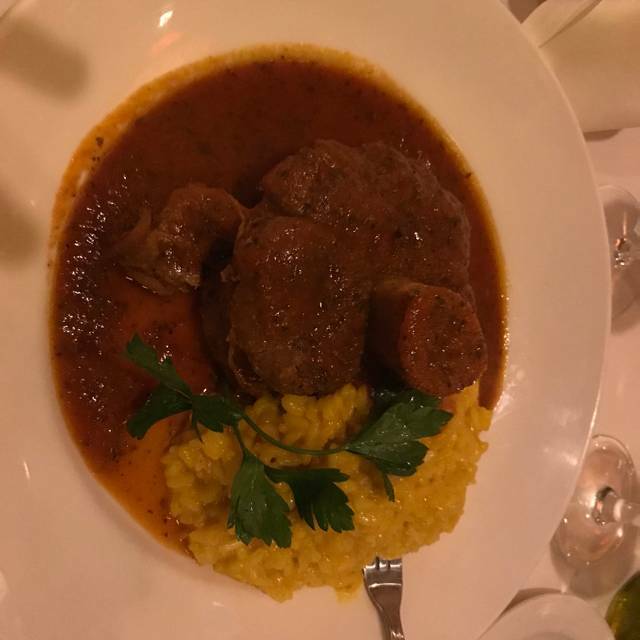 Risotto was outstanding and they were very accommodating in splitting it four ways and very elegantly. Pastas and fish were outstanding. .
Really like this place. Food is universally good, service is very attentive, great atmopshere--upscale without being stuffy. Prices are on the higher side, but reasonable for the class or restaurant. Oh, and great location! We were happy to have a 5:30 reservation because by 6 the place was packed. Our wait person seemed to be training a newbie so we got lots of first rate attention. Both were very attentive and gave some nice personal recommendations. 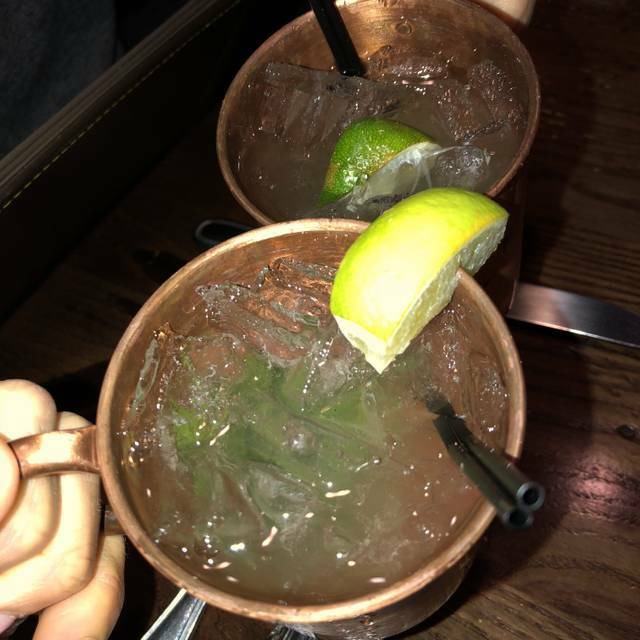 Started with drinks. I liked my special margarita.. most of the other cocktail specials didn’t appeal to me. My friend got one of the martinis and thought it was good. Shared a Caesar salad. 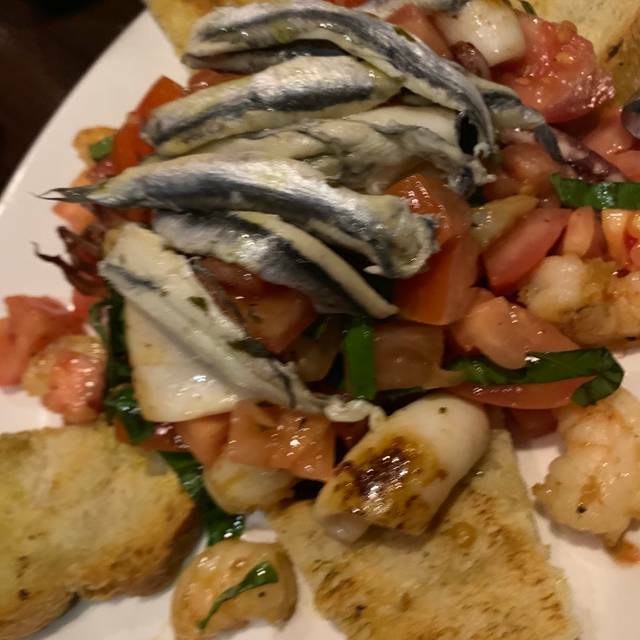 Thought it would come with just a few anchovies which we could handle but instead it looked like a whole can. The opposite was true of the Parmesan cheese which was just one small strip on the top. Otherwise salad was good and plenty to share. We both ordered pasta dishes. My friend hot Bolognese with gluten free pasta which she said was good. I got spaghetti with seafood which was ok but not stellar. Would have been nicer with a more interesting pasta and maybe larger but less seafood. Added lots of grated Parmesan and it was better. Overall the meal was good not nothing to rabe about. Would definitely go back and try something different next time. Nice and convenient and apparently they have valet parking. The food was phenomenal. As a business meeting for 2 or 3, it worked well. The good thing is that the restaurant is busy, which to me indicates how well it is liked. However, the noise level made it a little difficult to communicate with server. Either way, a fabulous meal. I will go back. Overall, the place was good. The food is just okay, the pricing is appropriate. I do like the environment. My date had a good time, that's a plus. seated on time in a nice corner table. Noise level was moderate but allowed for conversation and the service was attentive but unrushed and the food was extremely tasty and reasonably priced.. Very enjoyable! When out for dine out Boston. Pasta and dessert were great, but entrees where below average. Crab risotto had shell in it and beef loin was dry and minimal flavor. If it was not for the white chocolate blueberry tart, would not recommend. Food was really bland and the wine was just ok. I had the veal and my husband had the beef, and both meats were dry and hard. 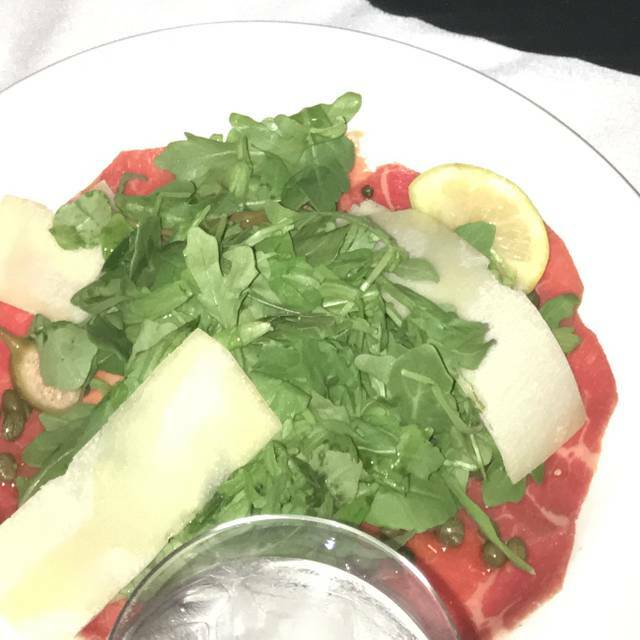 Our first course arrived before our cocktails. Overall, very disappointed by the experience. 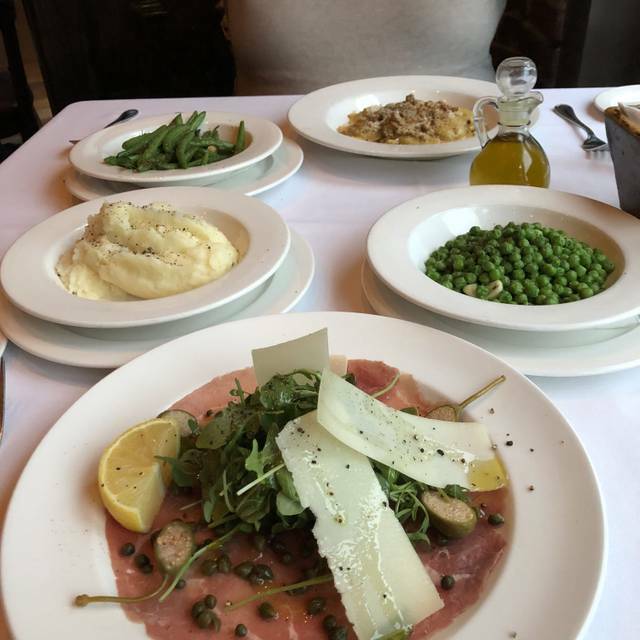 We can always count on Toscana Harvard Square for delivering a pleasurable dining experience, which is why we return here time and time again with friends and family. The food is always fresh and delicious and the waitstaff thoroughly professional and courteous. Very good food and friendly service. Very reliable choice for a night out or a business lunch! Toscano never disappoints. The food is always awesome and delicious. Although the service tonight was a little slow / below par. Look forward to going back there again soon. The bread was great, but everything else we had - 3 courses - was BLAND. And richness of taste is what good Italian cooking is all about. Skip this one. My girlfriend and I came here for Sunday dinner for Dine Out Boston. We have been here a couple of times before, but this dining experience certainly made us want to come back again and again. The service was impeccable with the waiter going above and beyond to fix our table so that it wouldn't wobble and putting a napkin over balsamic we spilled so that we wouldn't get distracted. 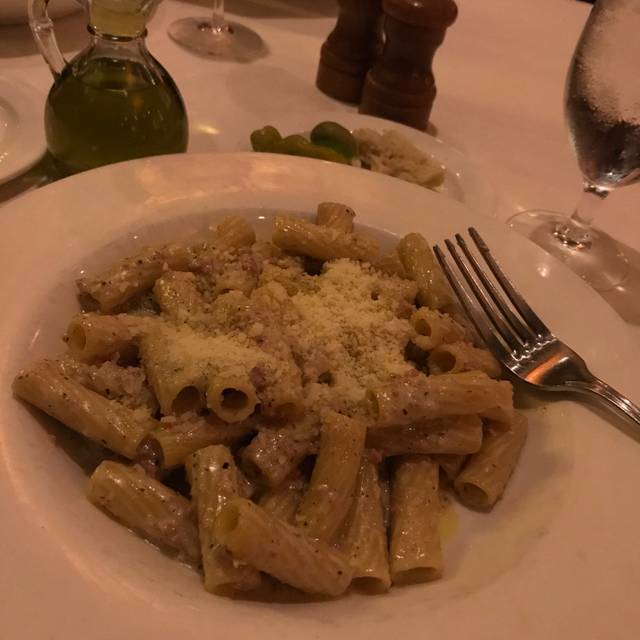 All of the dishes were great and cooked well, but I must say the most memorable dish was the rigatoni toscano -- it was seasoned and cooked to perfection. If you need Italian fixing in Harvard Sq area, this is THE place. Tasty Italian food served in a warm and welcoming atmosphere for business and pleasure. Highly recommend. Great for lunch or dinner! Fantastic dinner as usual here. Came with colleagues in town for a conference. The food was delicious, the service attentive without being overbearing, and the atmosphere ideal! Notably generous glass of wine. Lettuce in Caesar salad not fresh and croutons stale. Pasta Entree good. Dessert bland and perhaps made days before. Coffee very good. Consistently great food, excellent service and overall great experience! We've been going there for years - family birthdays, friends' birthdays, and simply catching up with friends who are in town. Good as ever.